As entrepreneurs, it’s important that we notice what’s going around us, and what’s going on in our local communities. After all, a small business is part of a community. One of the best ways a company can brand a business isn’t by having a slick ad with an irresistible call to action. It’s telling a brand’s story through community service. It’s like branding karma. Choose a need in the community that no one’s taking care of. We’ve done this ourselves at Rise Up Eight, a website focused on stories of people overcoming adversity worldwide to inspire people to never give up. If possible, tie it into the company brand. It will associate the good deeds with the company’s regular mission, says Forbes Agency Council. If the organization is an educational institution, try offering free English or GED classes. If the company is a bank, offer a free paper-shredding service where people can rid themselves of paperwork that may appeal to identity thieves. If it’s a clothing company, partner with a local stylist to offer free makeovers to needy individuals in search of a job. If it’s a music studio, it can provide free concerts to nursing homes or homeless shelters. And so on. Use imagination to tie the company’s money-making mission into one that serves others without a financial reward, and the company reaps the benefits of all the good vibes. It’s like free advertising. Only with a heart. Press releases: Make friends with the area news professionals. That way, when the company does hold these public service events, its press releases will go to the top of the stack. Make sure that whoever writes the press releases follows the standard press release format. Social media: Of course, the company will need to promote the event on all its social media channels. But don’t stop publicizing the event after it’s over. Build the fear of missing out (FOMO) for the next event by showing photos and videos. 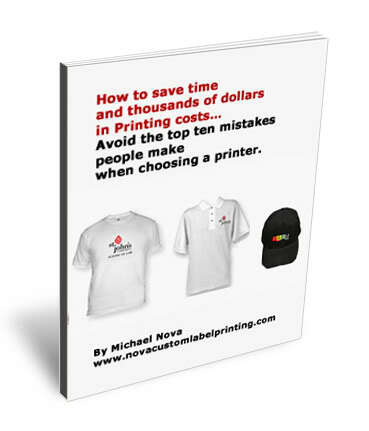 Promotional apparel and other gear: Done right, this low-cost strategy can pay off dividends throughout the year as a silent reminder that this event is indeed worthy of special apparel, commemorative pens, or coffee mugs. Get other organizations involved: Non-profit organizations, like churches, mosques, temples—or secular social service groups may help you spread the word. Most of these institutions are understaffed and will be glad that the company is tackling some of the undone tasks that help them serve their clientele. Support the efforts of like-minded companies and non-profits: Do volunteer work for some of these organizations. Without even a hint of coercion, encourage employees to do likewise. Make sure that they know that the company won’t penalize them for not participating. Nothing ruins a good deed like a sourpuss participant. Look at what went wrong and what went right. How could the event attract more people? How could the company reach more people with the goods or services the event provided? Get input from both beneficiaries and participants, from both employees and upper management. Brainstorm with the heads of the local social service agencies to see what needs are the most crucial and find a way to incorporate some of those needs into the next event. With careful planning, a company can position its brand as one that looks after the welfare of not only itself, but also the community at large. That kind of branding can help the company grow its visibility all year long.